Book Challenge Day 26- A Book You Wish You Never Read | What are we...the Whos? That’s right, Heart of Darkness. Joseph Conrad is mean and cruel for inflicting this book upon civilization. I know some people, and by some I mean a vast majority, believe this to be an incredible work of literature. I believe it to be nothing short of cruel and unusual punishment. I was first forced to read it my senior year of high school and barely made it out alive. When I found out that my first and only English class of college would also be reading it I almost cried. I have never had such intense negative feelings for a book. I just thought the story was horrible and the writing impossibly difficult to get through. 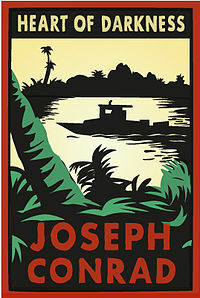 Posted in Authors, books, Reading, Writing and tagged 30-Day Book Challenge, Heart of Darkness, Joseph Conrad. Bookmark the permalink.